As far as the first quarter of 2018 is concerned Facebook introduced over a dozen changes that have influenced marketing results and costs for companies — Dynamic creative, Dynamic language optimization, and Ad manager updates to name a few. Instagram added hashtag following, and regramming (using hashtag #regram in reposts in order to acknowledge the original source) which made the platform more flexible and dynamic for both users and marketers. LinkedIn and Snapchat did not miss an opportunity to feature updates in interface and navigation. All in all, social media is evolving constantly, introducing new rules of the game for advertisers. Reaching the audience is getting more and more complicated. One way is to adjust to the circumstances, while another is to use native advertising networks. Social media platforms keep on introducing a variety of restrictions which considerably increase the cost of advertising campaigns and thus make things really difficult for small-scale advertisers. The complications refer to a number of dimensions making the process of building individualized audiences rather tense. The advertisers face constraints in the form of complex product quality assessment, lists of prohibited goods, new privacy policies, and the change in ranking algorithms. Given the changing position of social media, it is harder for advertisers to drive outcomes as the competition is mounting. In this regard, native advertising can become an alternative the advertisers can resort to as it provides necessary flexibility — unobtrusive formats which are perfectly integrated into UX. The high priority of customer engagement. When purchasing online, one would rarely buy anything without being engaged with the brand. This is the stage that precedes conversions, so marketers must incentivize user engagement in different ways. It is a two-way communication that has to be seamless regardless of the platform. Influencer marketing. The approach is not new but does not seem to get old — there is a trend toward micro-influencers who can brag about niche audiences. People tend to trust influencers more than brands conveying their messages via their own channels. It is important to collaborate with a relevant influencer who can highlight the brand’s values — in other words, to find the perfect fit. These are the levers to be pulled in order to drive positive results from social media advertising. However, the restrictions and changes in social media platforms put pressure on marketers to rethink methods of communication. There has been a serious debate on whether the days of social media marketing are over. Many see native advertising networks as the path of least resistance because they provide integrity, speed, adaptability, and moreover — they give a chance to connect niche audiences that cannot be reached via Facebook or other social media. It is clear that Facebook, Instagram, Twitter, and LinkedIn are entities that will never stop rolling out alterations fighting for originality and increased personalization. While users might benefit from that, marketers will feel the walls closing in. That is why regarding native advertising networks as a way out is a sound decision. Account moderation on social media is one of the most unpredictable challenges: the rules are constantly changed and conditions are far from being clear. An advertising campaign can be suspended at any time, and reasons are not going to be explained. That is exactly the opposite of what happens to native ad networks, as they guarantee the longevity of the campaign. And even if a restriction occurs, the native platform provides support and recommendations on how to adjust the campaign and maintain conversions. 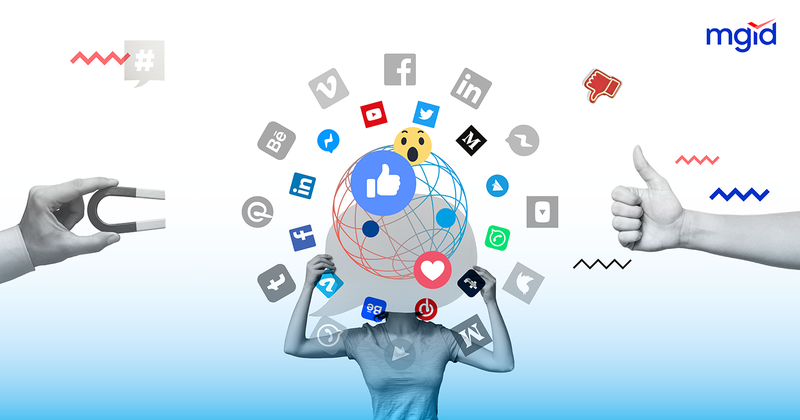 The shifting face of social media demands from marketers to consider other avenues of reaching the audience and conveying the brand’s message. Given the fact the organic growth from social media is characterized as at a standstill, the native format can serve ads to large audiences, doing it subtly and prospectively.